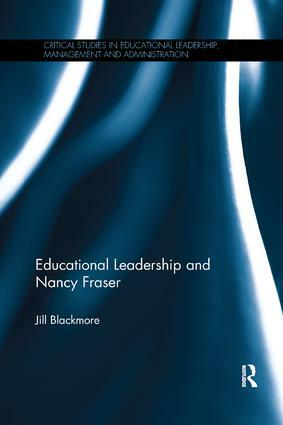 Drawing on the work of Nancy Fraser, this book offers a critical view of contemporary educational leadership and reform discourses, exploring how her key concepts of redistribution, recognition and representation may apply to social and therefore educational justice. Fraser offers a political and pragmatic reconciliation between feminist, neo-Marxist, critical and post-structuralist theories. This book outlines how Fraser has worked on and worked over theories of social justice and how this can inform how we can understand educational theory, policy and practice generally. In particular, the book focuses on the field of educational administration and leadership (ELMA) as it relates to equity issues such as school choice and inequality, gender and inclusive leadership, and alternative schooling. Fraser’s argument about ‘scaling up’ social justice theory is shown to be highly salient given the emergence of the field of transnational education policy and its role in the context of intensified nation-state and edu-business competition. Overall, through the lens of Nancy Fraser’s unitary framework, this book considers epistemological questions about the nature of knowledge, examines the relationship between the state, the individual, education and social movements, addresses the difficulties and dilemmas which arise due to the intersections of gender, class, race, sexuality and culture in a globalized context, and illustrates how the principles of social justice can be mobilized by leaders in everyday practice. Educational Leadership and Nancy Fraser is an illuminating read for those policymakers, researchers and practitioners engaged in the field of educational administration, leadership and social justice.